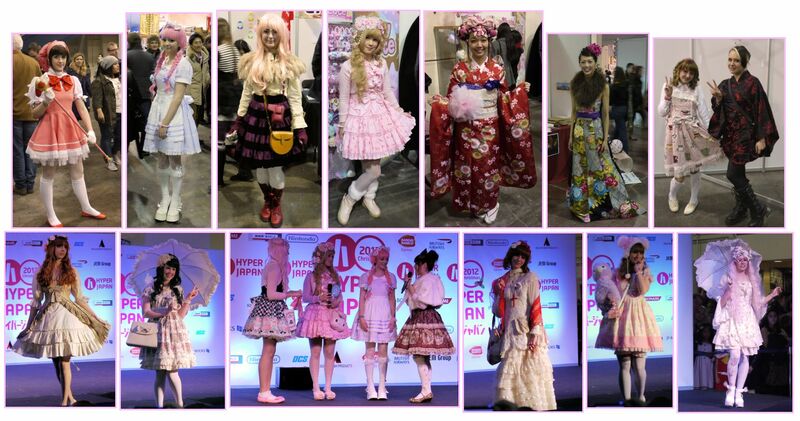 If you've never been, HyperJapan is an annual event celebrating all things Japanese. This weekend I went along for the first time. Even before I reached the Exhibition Centre in Earls Court, London I could not help but notice groups of girls dressed up in cute outfits. 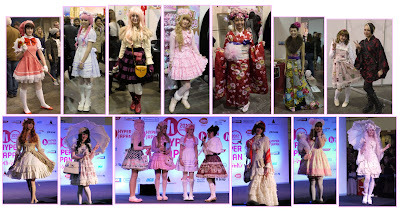 Straight away I knew they were off to HyperJapan Expo too and it just put a smile on my face to know there are so many others that share my enthusiasm for Japanese culture and fashion. One of the main events on Sunday 25 of November was a Kawaii Fashion Show. Kawaii in few words means cute, cool, sweet ... As the words say this fashion show was like no other, it was cuteness overload in the most of loveliest ways. The best part of the show to me was seeing the great diversity of crowed watching, from young children to older generation all gathered to celebrate Japanese culture and fashion. As we walked around the exhibition hall we met many of the pretty girlies and they were kind enough to let us take their picture for me to share with you today. So if you were there, maybe you'll find your picture here; I'd love to hear from you! Coming soon: Handroid at HyperJapan. You have to see it to beleive it! Till next time. Sayonara! (sah-yoh-nah-rah) Goodbye!